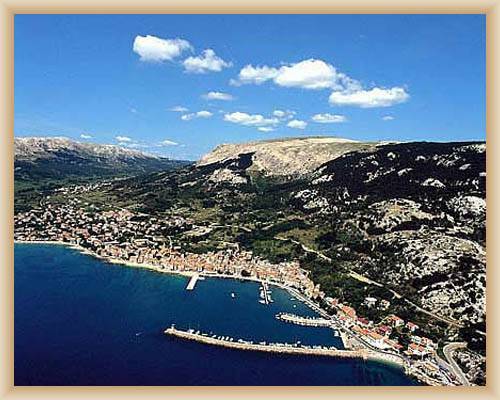 Baška, a town and port on the south-eastern coast of the island of Krk. 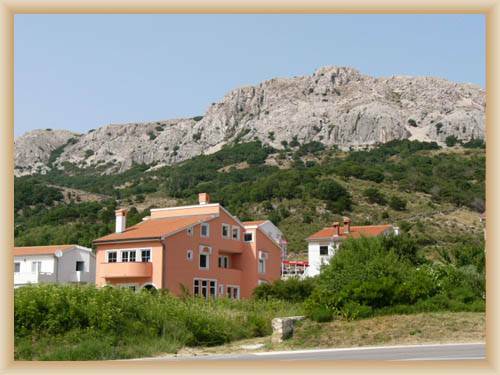 Fertile tracts of land in the Baška Draga valley, through which runs the Suha Ricina (Big Dry River) or Vela Rika (Big River), have enabled farming (wheat), fishing, and viniculture. 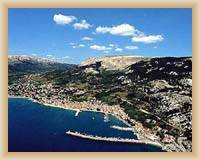 Next to the old, compact part of the town, a new part with tourist facilities has been built, making Baška a well-known tourist destination. The main road connects Baška to the town of Krk. 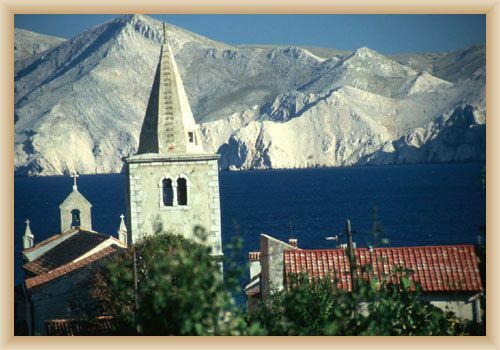 Together with good connection with the mainland (the bridge), ferry lines connect Baška with the island of Rab and with Senj. 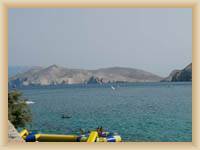 Today - thanks to the beautiful, 2-km long beach, is one of the tourist targets. 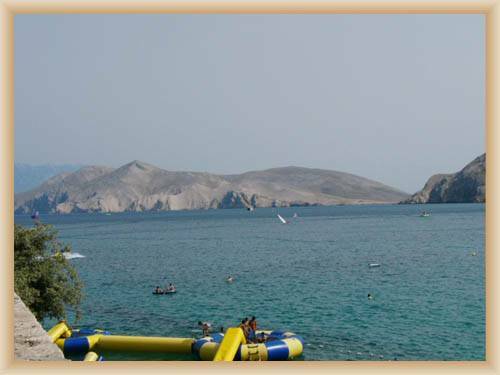 Baška offer a lot of recreation and sport opportunities as a: tennis, golf, diving, and yachting. ). 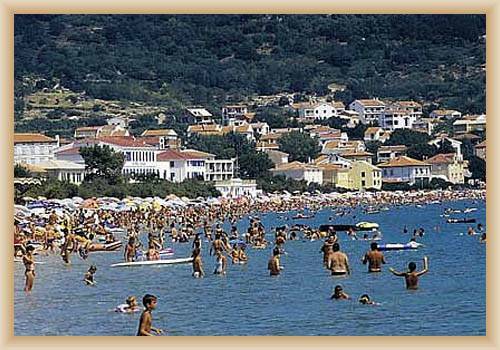 Along the 4-km long promenade (Lungomare) are catering establishments. 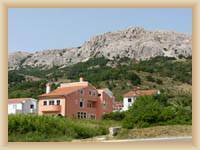 14 km of register trails are around Baška. Couple of cultural and social enterprise, the one of them is Ribarski dan (Fisher’s day), there is lot of fun and gastronomy specialities.